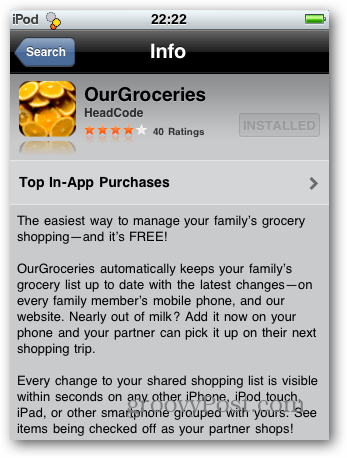 HeadCode’s app OurGroceries is a simple system that will sync your grocery list between Blackberry, iOS and Android devices. With this program you can easily share a list with anyone you choose. 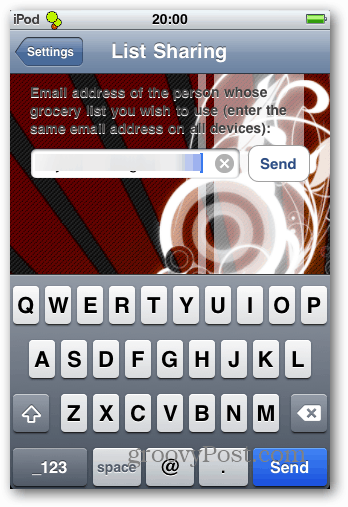 You need only specify an email address to share across devices. 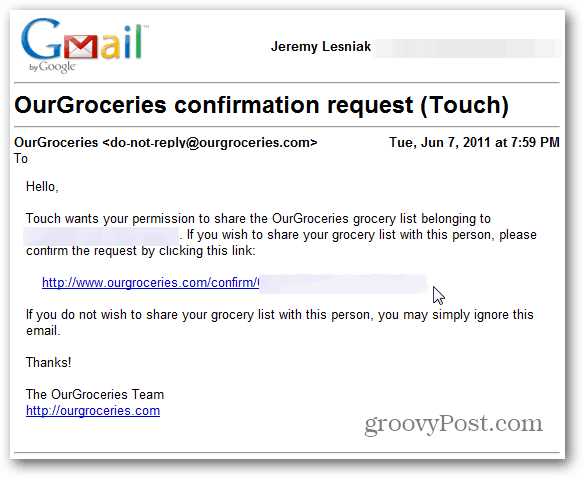 OurGroceries refers to this as the Master email address. It’s easy. 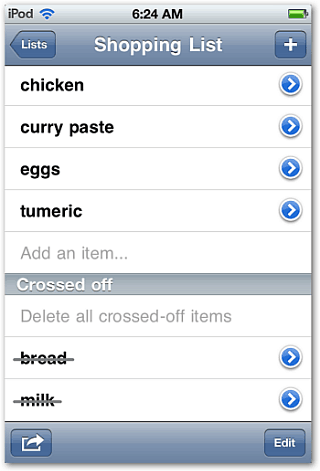 Search for OurGroceries and install it directly on your device. Now configure the account for first time use. From any device, you’ll notice there is a generic list. Open the settings menu. From Android and Blackberry this is achieved with the menu button, in iOS it’s the gear icon in the top left of the screen. 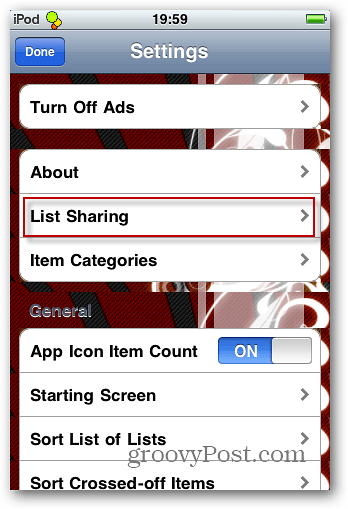 From the settings menu, select List Sharing. Enter the email address you’d like to use and press Send. You’ll need access to this address to confirm the sharing for each device you’re using it on. Tap Send. A confirmation screen comes up. Tap Send. You’ll get an email like this. Just click the link to confirm access for that device. 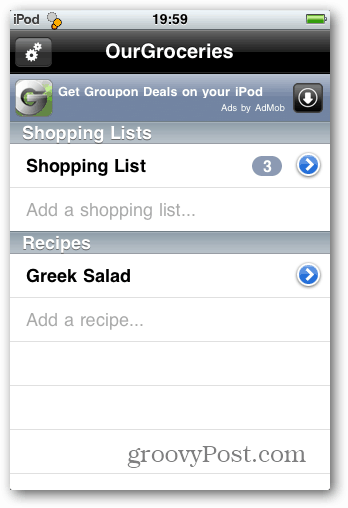 Now, simply start creating your groceries list. Your partner can add what they need to the list as well. Everything syncs up, and you’ll never forget the milk (pardon the phrase). As you pick up items just cross them off the list. 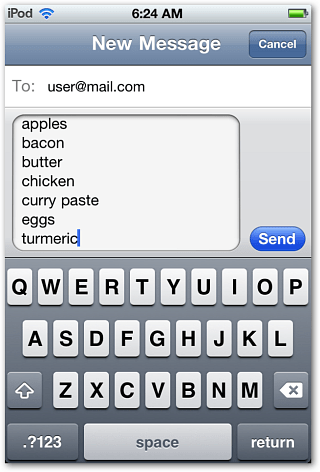 You can also send your lists via SMS or email too. 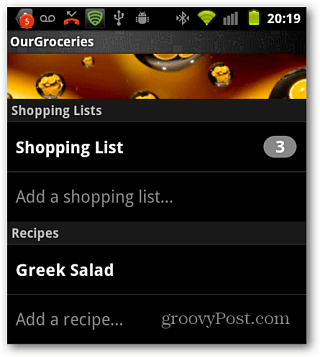 OurGroceries is available for BlackBerry and Android too. With it being available on all three major mobile smartphone operating systems, it should be no problem knowing what to bring home after work no matter what device your family member has! You can download OurGroceries from the Android Market, iTunes or Blackberry App World. The free version is ad supported. To remove the ads you’ll need to pony up $4.99 for it. I use this app with my wife and love it. It updates realtime on our devices which is great. For example, she can call me before heading out to the store and I can type in a few things on my BB and her iphone will update in just a few seconds. Storing recipes is cool so if your at the store and want to make your favorite dish at the spur of the moment, it’s easy to see what you need to buy. This app is great for multiple cooks in the family! Thanks for the feedback! You just convinced me to install this bad boy! 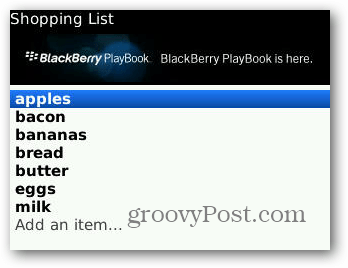 loved this app for both my wife’s iPhone and my BB, Unfortunately it doesn’t run on my new BB Bold 9900. Can lists be printed or emailed? 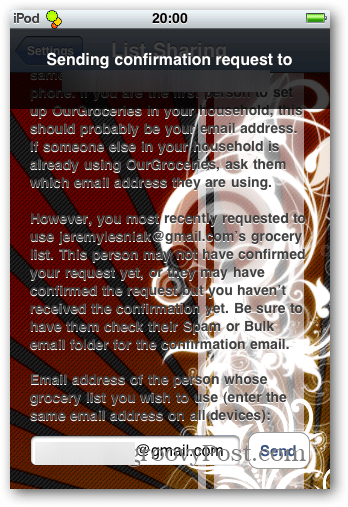 You can email or text lists. There’s a little share button in the bottom left. On the web version, you can just print the page. Make sure you only print the pages with non-crossed-off items otherwise it’s like 12 pages. I still use this app all the time. I just use the app in the store. I use the recipes feature all the time too. Ingredients I put on that list, I put the name of the recipe in parentheses so if I change my mind I know not to get any of the items for that recipe. I can use my list on the wedsite just fine and Alexa can add to my list. But I can’t get it to synchronize with the app on my iPhone, only the web page. Am I doing something wrong? Thanks.